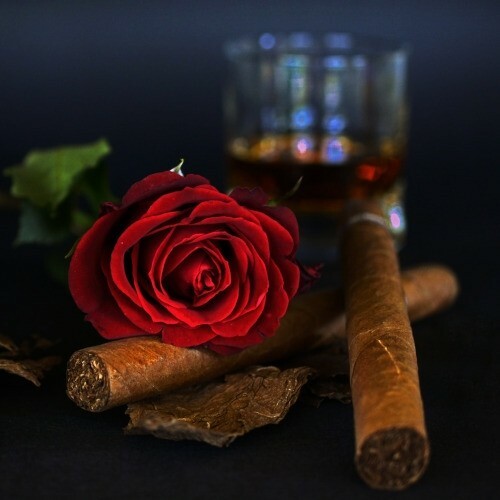 Our Tobacco Rose Fragrance Oil has subtle earthy fragrance notes that add depth and complexity, making this a great new modern take on traditional floral fragrances. Let's be honest; there is something magical about fragrances. A single scent has the ability to create an ambiance, trigger childhood memories, calm frazzled nerves and so much more. Spa-type scents elicit feelings of relaxation and Zen, while nurturing aromas make us feel warm, cozy and safe. Fragrance has the power to whisk your customers off to a sandy beach or take them on a tropical vacation. With our enticing variety of Fragrance and Essential Oils, as well as Liquid and Powder Colorants available to customize our Lotion, Shower, Salt, Room Spray, Hair Care Bases, you have the ability to elevate your product line to soaring new heights. While other suppliers may offer different grades of Fragrance Oils that may be diluted or cut with carrier oils, at Essentials by Catalina we only sell concentrated, uncut Cosmetic Grade Fragrance Oils. Working with concentrated Fragrance Oils such as these reduces the need for high fragrance loads. A little goes a long way. For recommended fragrance loads please see the "Learning to Use" tab. Essentials By Catalina is not responsible for product compatibility. We encourage everyone to sample prior to committing to larger quantities. This allows for an opportunity to test the product for performance, compatibility, and safety. The ingredients in fragrance oils are considered proprietary information by US Federal Trade laws and need not be disclosed on your ingredient label. Use of the INCI name "fragrance" is sufficient. 1) The maximum amount of fragrance the base can accept. 2) The maximum IFRA skin exposure levels. The maximum amount of fragrance oil a base can accept is listed on the base's "Learn to Use" tab. A general guideline is provided below, but it is recommended to use a base's specific maximum fragrance load. The maximum IFRA skin exposure level can be found in the IFRA document under the "Documents" Tab. When using fragrance oil in a formulation, you can vary the percentage to achieve lighter or stronger aroma strengths, but never exceed either the recommended maximum fragrance load for a base (listed on the base's page) or the maximum skin exposure level (listed in the IFRA document), whichever is less. The above fragrance loads are general guidelines. Fragrance loads listed for a particular base supercede general guidelines. Fragrance oils that contain vanilla or vanillin may cause white products to darken or brown over time. The darkening process due to vanilla can take days, weeks or even months depending how much vanilla the fragrance contains. The darkening can vary from a light ivory to dark brown. To help slow down this discoloration process, the use of our Vanilla Stabilizer is recommended. To determine if a fragrance oil contains vanilla, click on the "Specifications" tab on any fragrance oil product page. Learn more about vanilla content here.